What does Guide Number mean? Guide number is an expression as a number of how powerful a flash is. Most strobe manufacturers use a guide number based on the flash being fired in air. The number itself is based on a formula of f number x distance= guide number at a constant ISO (INON and Sea & Sea base their GN’s on ISO100). In land photography this formula can be used for how far away to place a flash of a certain guide number for a particular aperture setting or what aperture setting to use with your flash at a certain distance. This generally isn’t used in this way for underwater photography but merely as a number to show how powerful a strobe is at maximum output. But guide number really doesn’t tell the whole story about a strobe’s output. The spread of a strobe and how even the light from it is are big factors. A strobe with a narrow beam may have a higher guide number than one with a broader spread but to get the coverage for your shots you may have to add a diffuser which can reduce its guide number significantly. Ideally you want as even a light as possible so you don’t end up with hot spots or underlit areas. The Sea and Sea YS-D2 strobe Anne is using in this picture has a guide number of 32 but the diffuser fitted to it to increase its spread to 120° from 80° reduces the output to a guide number of 20. Diffusers soften the light coming from your strobes reducing the harshness which in turn reduces shadows and contrast in your images. They can also change the spread of light, increasing the angle but in doing this the output is reduced as mentioned in the caption above. Colour temperature of strobe light can be changed using diffusers that combine the softening and spreading properties with a change to the light temperature. Manufacturers such as INON also make filters that only change colour temperature without softening or spreading light. These can be used to give a warmer light than the standard strobe output. This is the INON Z330 strobe fitted with an ND filter it reduces the strobe output to give you the equivalent of having extra power settings below it’s normal lowest. 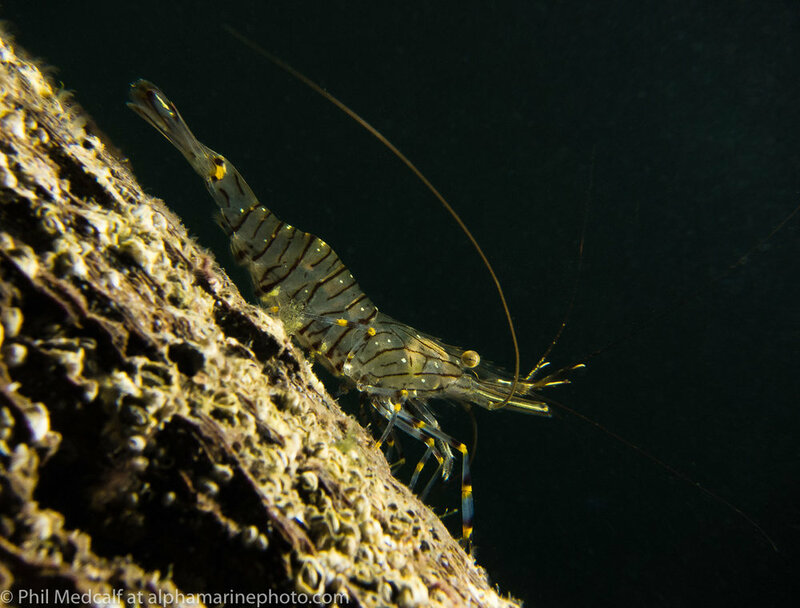 In addition you can buy special blue excitation filters to fit on your strobes that when combined with a yellow filter on your camera allow you to use strobes to take pictures of fluorescent marine life. One of the big pluses of using a compact camera is that they don’t have a maximum shutter sync speed which means a dark background can be achieved without too much difficulty as long as your camera allows you to control shutter speed manually. It is possible to buy strobe triggers that connect to a camera hot-shoe (if your camera has one). As well as reducing battery consumption and keeping camera temperature down these can often give you another stop of sync speed. For example, taking 1/160 sync speed of the Sony A6500 up to 1/200. These triggers do require space within your housing and because of this aren’t compatible with all housing/camera combinations. Fantasea are one of a number of manufactures who make strobe triggers to fit cameras with hotshoes. Not all strobe triggers support TTL (the Fantasea system doesn’t) but if you’ve read my previous blog about strobes (Here) you’ll know my views about TTL. For cameras like the Sony A6000 series where manual flash control isn’t available a strobe trigger will give a significant reduction in battery consumption and also remove the small delay on each shot caused by the preflash firing. If I’m using built-in flash to trigger my strobe how can I increase the battery life of my camera? Here’s a little tip for anyone who has a camera with a manual flash setting (sorry Sony users) such as a Canon compact or Olympus TG5 or mirrorless. If you are using your strobe on manual rather than TTL you can set the built-in flash on your camera to its lowest output and it will still trigger a strobe via a fibre-optic cable. For Canon compacts you have a choice of three settings, put it on minimum. For Olympus users, either the TG5 or a micro four-thirds you can set it down to 1/64 power and most other cameras will let you do similar. If you don’t have a manual flash control but are using the strobe on manual you can reduce flash output to some degree by using Flash Compensation to skew it. By reducing flash output you’ll get more shots out of your camera battery and reduce heat produced by the camera which can lead to fogging inside your housing port, particularly with large polymer housings. 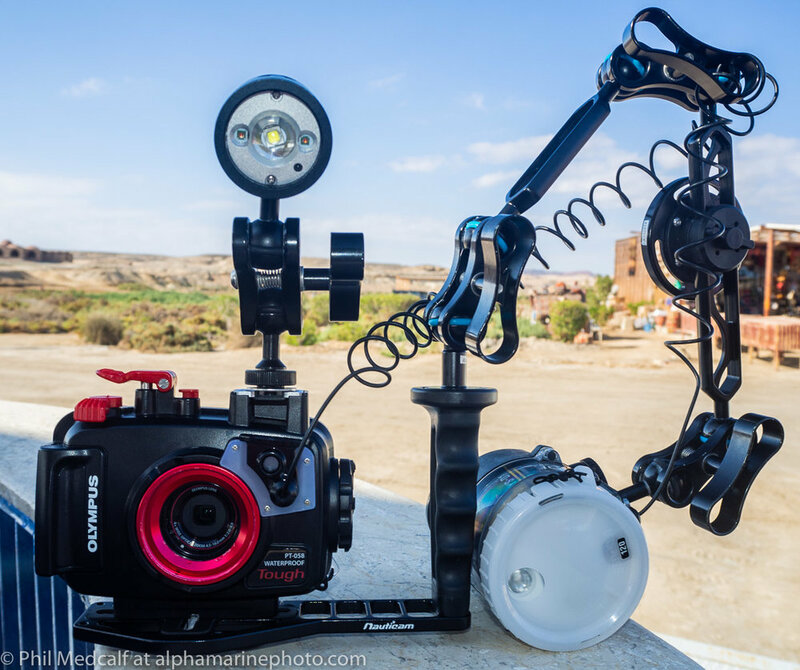 We spent Christmas at Red Sea Diving Safari’s Marsa Shagra resort where I spent quite a bit of time shooting with an Olympus TG5 and a range of accessories. A blog about how to get the best from this popular camera will be coming soon. That’s it for another blog, I’m sure I’ll be coming back to strobes again in the near future but I’ve got all sorts of other stuff to talk about as well. Thanks for reading this.